Armour Upper Hull Front: 12mm. 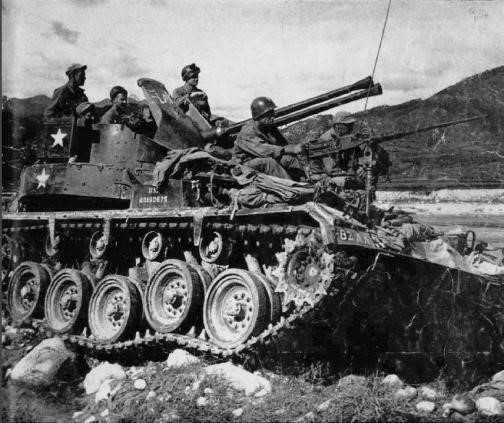 Notes Based on a lengthened M24 Chaffee chassis, and mounting duel 40mm AA Guns the M19 gave US Armoured units protection against low flying aircraft. The guns could fire on ground targets which could inflict devastating fire on lightly armoured vehicles. An additional trailer carried extra rounds. It arrived too late to make any Impact in WW2, but saw service in Korea.